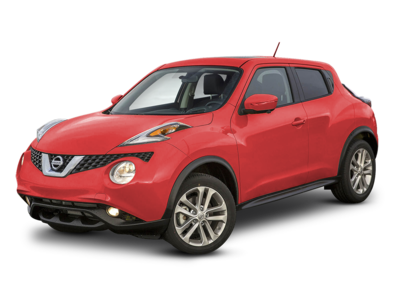 Coming in at number 10 in our list of Best Under $20,000 Subcompact Cars is the 2014 Nissan JUKE. Current inventory meeting this criteria averages 37,435 miles. The 2014 JUKE achieves a combined MPG figure of 28. Scroll down to see what inventory is available in your area - hurry, before these great deals sell out! The 2014 MINI Cooper Countryman is number 9 in our list for Best Under $20,000 Subcompact Cars. Current inventory meeting this criteria averages 34,150 miles. The 2014 Cooper Countryman achieves a combined MPG figure of 28. Scroll down to see what's available in your area right now. Ranking eigth for Best Under $20,000 Subcompact Cars is the 2017 Chevrolet Trax. Current inventory meeting this criteria averages 14,839 miles. The 2017 Trax achieves a combined MPG figure of 28. Take a look below to find the Trax in your area that suits you best! The 2016 MINI Countryman ranks seventh for Best Under $20,000 Subcompact Cars. Current inventory meeting this criteria averages 14,845 miles. Fuel economy is rated at 28 MPG combined. Scroll down to see what's available in your area right now. Coming in at number 6 in our list of Best Under $20,000 Subcompact Cars is the 2017 Ford Fiesta. Current inventory meeting this criteria averages 8,978 miles. Fuel economy is rated at 29 MPG combined. Scroll down to see what inventory is available in your area - hurry, before these great deals sell out! Coming in at number 5 in our list of Best Under $20,000 Subcompact Cars is the 2015 Hyundai Veloster. Current inventory meeting this criteria averages 33,185 miles. The 2015 Veloster achieves a combined MPG figure of 30. Scroll down to see available inventory for 2015 Velosters in your area. 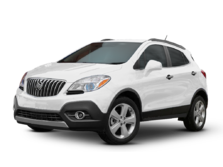 Coming in at number 4 in our list of Best Under $20,000 Subcompact Cars is the 2016 Buick Encore. Current inventory meeting this criteria averages 12,744 miles. The 2016 Encore achieves a combined MPG figure of 30. Take a look below to find the Encore in your area that suits you best! Slotting in at third for Best Under $20,000 Subcompact Cars is the 2017 Nissan Versa. Current inventory meeting this criteria averages 8,299 miles. Fuel economy is rated at 32 MPG combined. 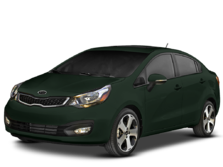 Scroll down to see available inventory for 2017 Versas in your area. Slotting in at second for Best Under $20,000 Subcompact Cars is the 2016 Honda Fit. Current inventory meeting this criteria averages 14,508 miles. The 2016 Fit achieves a combined MPG figure of 34. 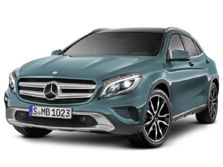 Scroll down to see available inventory for 2016 Fits in your area. The 2015 Toyota Prius c is number 1 in our list for Best Under $20,000 Subcompact Cars. Current inventory meeting this criteria averages 30,292 miles. The 2015 Prius c achieves a combined MPG figure of 50. Take a look below to find the Prius c in your area that suits you best!